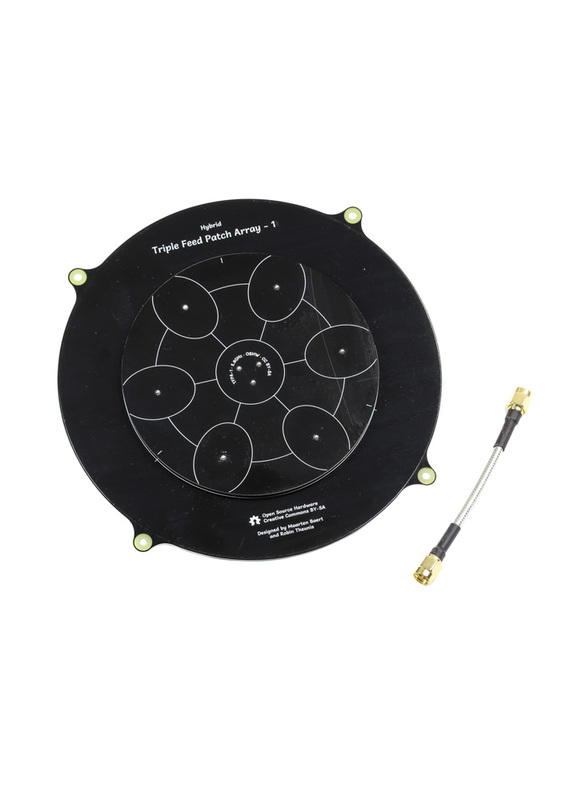 The Triple Feed Patch Array antenna is a directional circularly polarized antenna based on the original Triple Feed Patch antenna. It uses an array of seven coupled patches, resulting in significantly higher gain. This antenna is not recommended for general FPV use since the beam width is rather narrow, however it performs brilliantly for long-range flying. Like the original antenna, it is also a hybrid antenna so you can switch between Left-Hand Circularly Polarised (LHCP) and Right-Hand Circularly Polarised (RHCP). For the best RF performance we recommend using a 50ohm dummy load for the unused SMA connector. Please note: The colour of the antenna is random, it will either be black or red.